If you have purchased a GE side by side refrigerator that has the capability to dispense water, it is something that you kind of want to work. Your standard GE refrigerator should be able to fill up an eight ounce glass in about eight seconds. However, if your GE refrigerator has stopped producing water altogether, that is a big problem. It can be caused by several different issues, which means you need to take the time to diagnose the problem before you can repair it. Check the water line connection to the refrigerator usually found attached to the back of the unit. Ensure that the water line is turned on. Maybe someone in your household shut it off? If the line is made of copper, ensure the line is not compromised in any way. 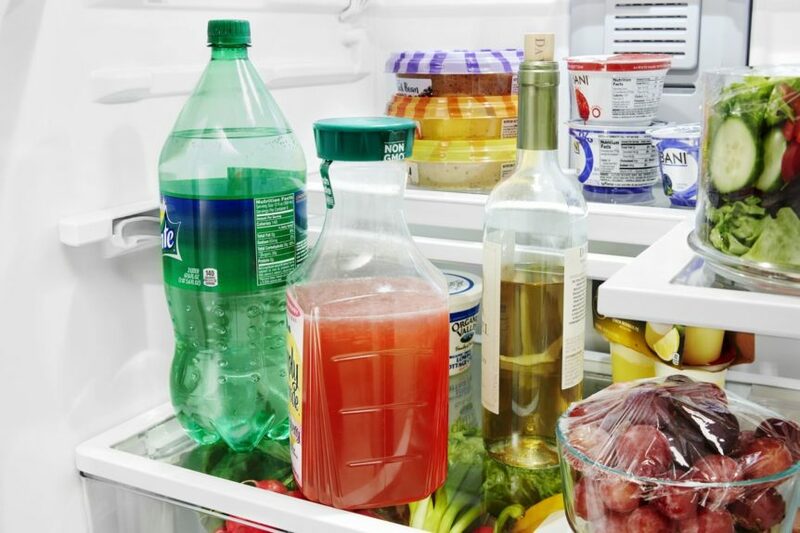 In order to function properly, your GE refrigerator needs to function at a minimum of 20 PSI water pressure. If you do not have sufficient water pressure, it would not trigger the water inlet valve and the dispenser will not work. Unfortunately, if low water pressure is the cause, the repair will need to be made to your home and not the appliance. If your entire dispenser system isn’t working, then it is likely a problem with your dispenser control board as a whole rather than a single part. For example, if your ice dispenser still works, it probably isn’t a control board issue. If the door is open, the door switch is what keeps the water dispenser from working. If this switch malfunctions, the switch will act as if the door is opened even when it is not, so water will not dispense. This can be easily tested with a multimeter.